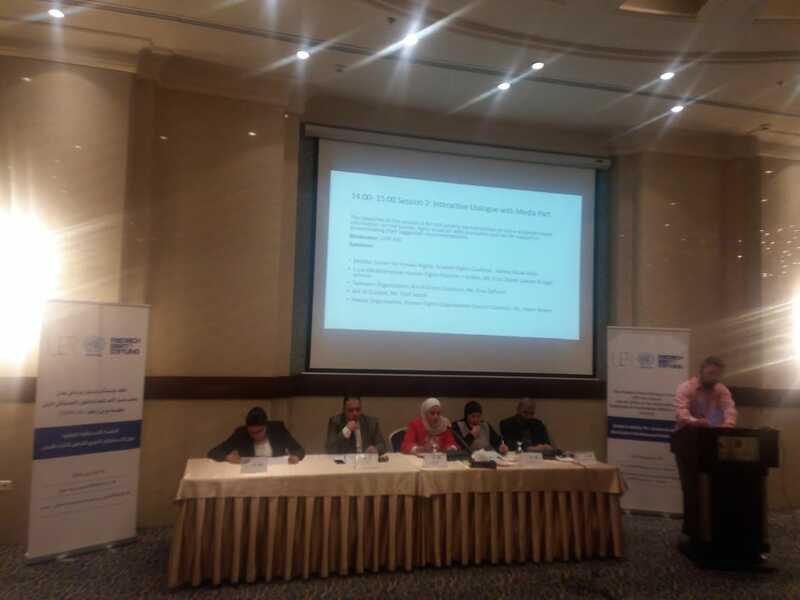 During the last three days, the Euro-Mediterranean Human Rights Monitor participated in the proceedings of the national pre-session of the Universal Periodic Review of the situation of human rights in Jordan, which was attended by a number of civil society organizations and representatives of diplomatic missions in Jordan. During the meeting, a number of issues were raised by Euro-Med Monitor with regards to the human rights situation in Jordan, including: amendment of the Jordanian labor law, particularly on child labor. A report titled “Weariness off the Young: Syrian Refugee Child Labor in Jordan,” was issued by Euro-Med Monitor in 2016. The report reveals that about 30,000 children work in Jordan illegally. Other issues and recommendations by Euro-Med Monitor also include amending the system under which the Personal Status Law operates, particularly with regards to the powers granted to the judge to approve marriages of 16-year-old minors. Recommendation have also extended to include the Crime Prevention Law, specifically relating to the powers of detention and in conformity with the guarantees and standards of a fair trial. The pre-session was organized by UPR info and FES.